Martin Bowles, Secretary of the Federal Department of Health (and formerly Deputy Secretary in the Department of Climate Change and Energy Efficiency), is expected to join other health leaders at a meeting in Canberra tomorrow aimed at generating some long overdue action on a national climate and health strategy. The Department’s Acting Chief Medical Officer Dr Tony Hobbs and Chief Nursing and Midwifery Officer Debra Thoms are also due to attend the roundtable meeting, which has been organised by a coalition of health groups including the Climate and Health Alliance (CAHA). Ahead of the meeting on Monday afternoon, health leaders will meet with key MPs to brief them on recent consultations highlighting strong health professional support for the development of a national strategy around climate change, health and wellbeing. The MPs will be presented with findings from a recent survey in which three-quarters of health professionals surveyed said Australia’s current climate policies are inconsistent with our international obligations, including the Paris Agreement. Meetings are scheduled with Assistant Minister for Health and Aged Care Ken Wyatt, Shadow Minister for Health Catherine King, and Australian Greens leader and health spokesperson Senator Richard Di Natale. Health Ministers Sussan Ley and Dr David Gillespie are noticeably absent from the schedule. A meeting organiser said Minister Ley declined to attend, and that a reason was not given. Croakey moderator and health policy analyst Jennifer Doggett will attend the roundtable meeting, to cover the discussions for the Croakey Conference News Service – please follow #ClimateHealthStrategy for live-tweeting. The meeting follows a series of extreme weather events locally and globally. 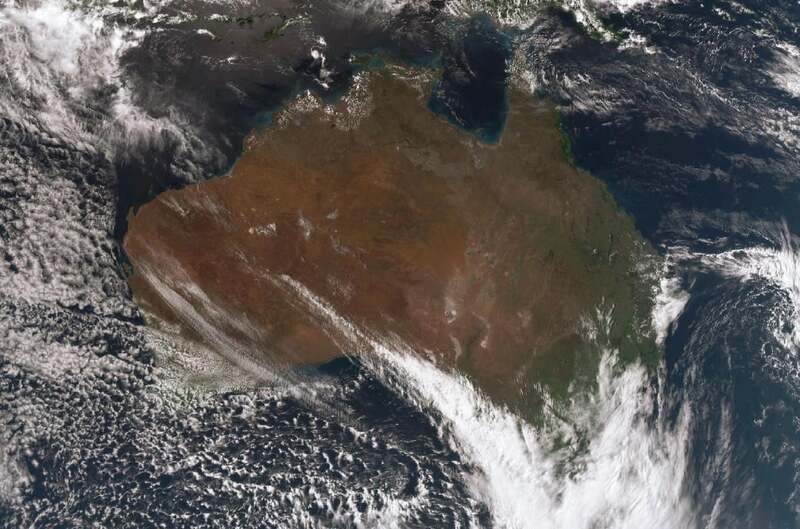 Meanwhile, at the time of writing, wild weather in Melbourne had forced the cancellation of some flights to Canberra, affecting the travel plans of some of the meeting organisers. The World Federation for Public Health Associations has urged countries that have not already done so to develop national strategies for dealing with the health impacts of climate change, as a core element of national Climate Change Action Plans. The Federation also urged health and medical professional associations to make it a priority to raise awareness of the multiple public health risks from climate change and the opportunities for improved health from climate action. This followed a Federation survey in 2015 showing that many national governments have failed to focus on addressing the health impacts of climate change (download ClimateInfographic-1). Of 35 governments (15 developed and 20 developing nations), the survey found that about half had no national plan to protect their citizens from the health impacts of climate change. Two-thirds had done little towards identifying vulnerable populations and infrastructure, developing public health adaptation responses, assessing coping capacity or gaps in knowledge. More than 40 percent of countries had failed to involve the health sector in mitigation planning or invest in research on the health effects of climate change. Taiwan and Lithuania were highlighted as among those countries taking positive action, including reporting comprehensive climate change action plans with both mitigation and adaptation strategies, along with climate-health risk surveillance, and early warming systems for health risks from extreme weather. Where is the Australian leadership? As reported at Croakey earlier this year, national leadership from government and the bureaucracy on climate and health has been sadly lacking, despite the World Health Organisation’s warning that climate change is “the defining issue for public health in the 21st century”. 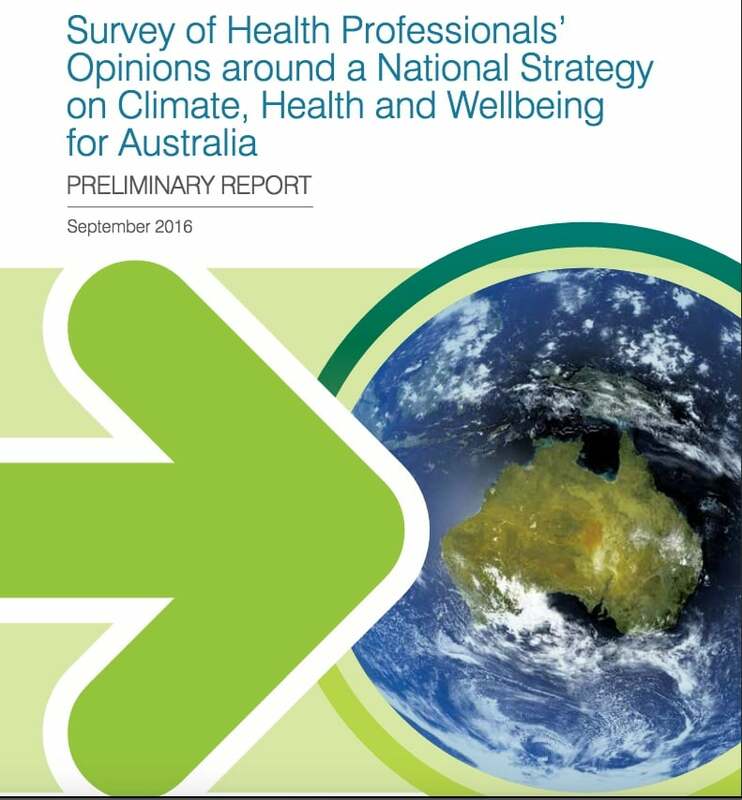 Preliminary findings from an ongoing survey of health professionals found 98 per cent agreed with the need for a national strategy on climate, health and well-being. The majority of respondents considered the current Federal Government’s climate policies to be ineffective (52 percent judged the Direct Action Plan to be “not at all effective”). Significantly, this highly informed group of survey respondents could name almost no policies at either the national or state level that specifically address the health impacts of climate change. Only seven percent were aware of detail of the only national policy to specifically reference climate change in the context of health, the National Climate Resilience and Adaptation Strategy. A recent online consultation by CAHA identified the need for political will and bipartisan support for securing and maintaining the necessary governance, funding, policy, infrastructure and resources required long term, to address climate change and associated impacts on the health and wellbeing of the community. The negative impact of reduced funding at the federal level in environmental health was noted, with consequent diminished capacity, coordination and leadership on climate change action. Participants called for an immediate stop to government subsidies to the fossil fuel industry, a reinvestment of these resources to climate change mitigation strategies and the ultimate phasing out of fossil fuels and mining. 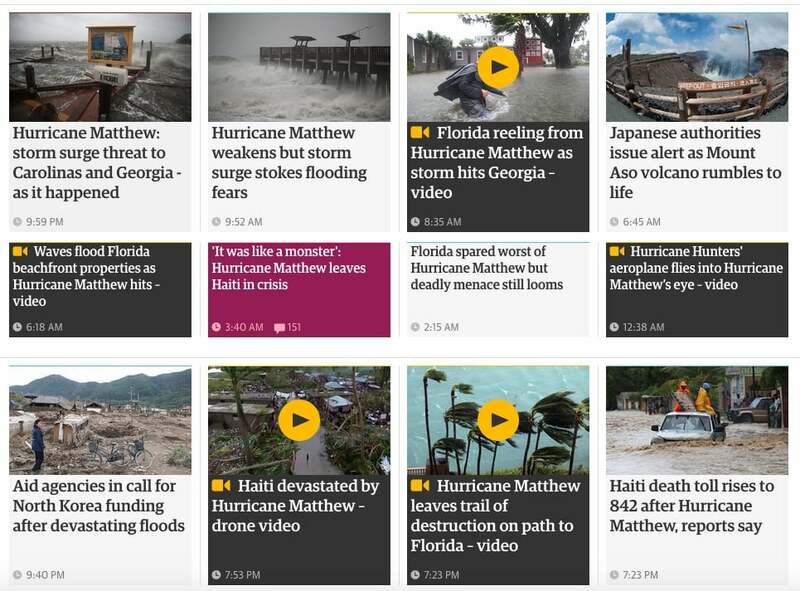 Many of the online forum participants raised the need for research, including climate-health impact assessments to inform policy development and mitigation strategies, with a focus on vulnerable communities. Participants recommended the development of policies across multiple levels and sectors of government that support energy-efficient technology and innovation and changes in attitudes, social norms and behaviours. Policies for sustainable food systems and healthcare, in particular carbon neutral policies were frequently discussed. Applying a climate and health lens to all government policies was recommended. Participants called for national standards for healthcare procurement that mandate ethical and low carbon purchasing, resulting in collective savings and power of purchasing. They also recommended advocacy efforts change the rhetoric around the impacts of climate change on the environment, to a broader focus on the predicted impacts on the economy, health, social and spiritual well-being, quality of life and standard of living. They identified a need to increase the climate literacy of the community, health professionals, policy makers and politicians. Incorporating education of climate and health in existing health professional training was recommended, including conferences and university training. They also suggested advocacy training for health professionals to empower them to advocate for carbon neutral policies, initiatives and to raise the profile of sustainable health care. Transitional skill development for those working in the fossil fuel industry were also recommended as part of mitigation strategies. The list of attendees for tomorrow’s roundtable meeting includes representatives from the Australian College of Health Service Management, the Australasian College for Emergency Medicine, the Australian Psychological Society, the Australian Faculty of Public Health Medicine, the Australian Health Promotion Association, the Public Health Association of Australia, the Australian Society for Medical Research, and the National Rural Health Alliance. Also scheduled to attend are representatives of the Australian Medical Association, the Australian Medical Students Association, the Royal Australasian College of Physicians, the Royal Australian College of General Practitioners, the Australian College of Nursing, the Australian Nursing & Midwifery Federation, the Australian Practice Nurses Association, the Australian Healthcare and Hospitals Association, the Australian Council of Social Service, CoHealth, the Centre for Policy Development, Doctors for the Environment Australia, the Health Services Union, University of Sydney and Women’s Health in the North. The health impacts of climate change include injuries and illnesses associated with extreme weather events, such as bushfires, extreme storms, flooding, and heatwaves; the mental health impacts of disasters and their aftermath; increased spread of infectious diseases; worsening air quality; and health impacts from food and water insecurity. All of these are exacerbated when the health sector is not prepared to deal with these health consequences. • Follow @JenniferDoggett, @WePublicHealth and #ClimateHealthStrategy on Twitter for news from the roundtable meeting for the Croakey Conference News Service.